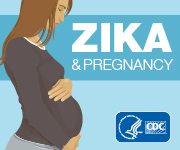 CDC has updated its interim guidance for pregnant women with possible exposure to Zika virus to include separate recommendations for pregnant women with symptoms and pregnant women without symptoms. In addition, CDC recently released its latest findings from the Zika pregnancy and infant registries on pregnancy outcomes for pregnant women with Zika virus infection in the U.S. territories and has new updates for healthcare providers on pediatric ophthalmologic findings in infants with possible congenital Zika virus exposure. During this COCA Call, clinicians will learn about the recent updates to CDC’s interim guidance for pregnant women with possible exposure to Zika virus; hear about the latest findings on pregnancy outcomes in the U.S. territories, based on the Zika pregnancy and infant registries; and receive new information on pediatric ophthalmologic findings to assist in caring for patients based on currently available data. Understand and apply the updated interim guidance for pregnant women with possible exposure to Zika virus in practice. Understand the latest estimates from the U.S. territories regarding pregnancy outcomes associated with Zika virus infection during pregnancy. Apply knowledge of pediatric ophthalmologic findings in infants when evaluating and managing infants with possible congenital Zika virus infection. CPE:The Centers for Disease Control and Prevention is accredited by the Accreditation Council for Pharmacy Education as a provider of continuing pharmacy education. This program is a designated event for pharmacists to receive 0.1 CEUs in pharmacy education. The Universal Activity Number is 0387-0000-17-196-L04-P and enduring 0387-0000-17-196-H04-P course category.Course Category: This activity has been designated as knowledge-based.